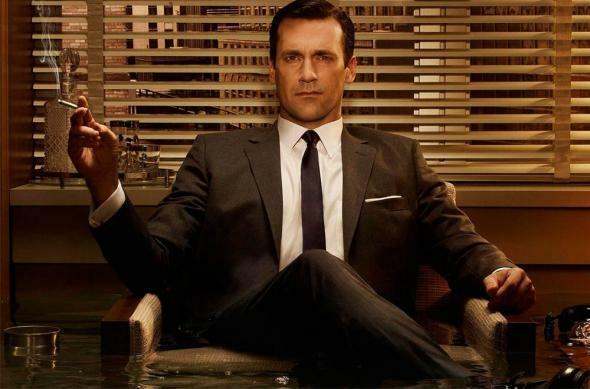 Will Don Draper die in the Mad Men season finale? Introducing the Don Draper Death Watch. Will Mad Men end with Don Draper’s death? The specter of death has always loomed over Mad Men, from the moment we first saw that funereal suit flapping in the wind as it plummeted toward Madison Avenue in the show’s opening sequence. Nearly every season since has featured a noteworthy death, and by Season 5—which ended with the death of Lane Pryce—the death imagery had become so dense that it was compiled into supercuts and video essays. It didn’t slow down from there, and by the end of Season 6, something as simple as a bowl of citrus could send prognosticators into a morbid frenzy. With the premiere of the first half of the final season upon us, an all-too-familiar question hangs about the proceedings: Will this prestige drama end with the death of our antihero? Last year, recappers were predicting that Don Draper’s death could come as early as at the end of last season. Now that the end of the series is nigh, the ghoulish speculation (both serious and not so much) is already heating up. In anticipation of the coming flood of conjecture about Don’s fate as the season unfolds, we’re unveiling our handy tool for keeping track of it all. With a little inspiration from the Bulletin of the Atomic Scientists, we present to you The Don Draper Death Watch. Every time there’s the slightest suggestion the bell is tolling for Don, we’ll update the clock. The more certain it seems that the show will end with Draper’s demise, the closer we’ll set the clock to midnight. So what time is it now on the Don Draper Death Watch? Update, April 16: An earlier version of this article referred to our tool as The Don Draper Doomsday Clock. The Bulletin of the Atomic Scientists, the creators of the original Doomsday Clock, objected to this title. Lest the reader confuse the fate of Don Draper with the fate of the planet, we have changed the name.